Silver Square Link Jesus Fish Stamped All Stainless Steel Bracelet. Each has the Ichthus Ichthys ΙΧΘΥΣ Greek Fish with JESUS Stamped inside on all 4 sides of each link. Bracelet is a 7 1/2" Length. This bracelet's heavy weight really "feels" good on your wrist. 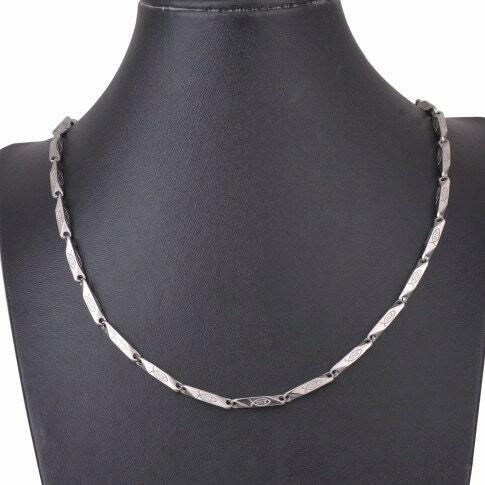 This fabulous looking Silver Stainless Steel chain shines like crazy and look substantial. The bonus is that ... "Jesus inside a Fish" ... is pressed onto every link! 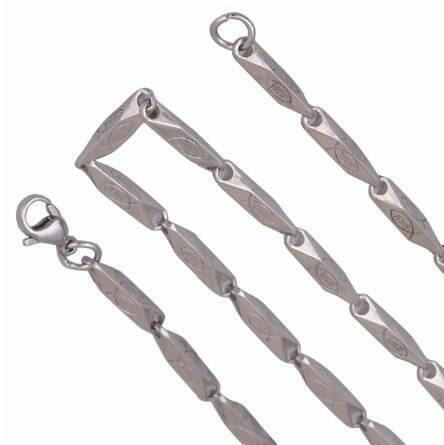 The Stainless Steel Lobster claw clasp is both easy to use and positive locking. Another exceptional value from Saint Michaels Jewelry "Exclusive Design Collection".